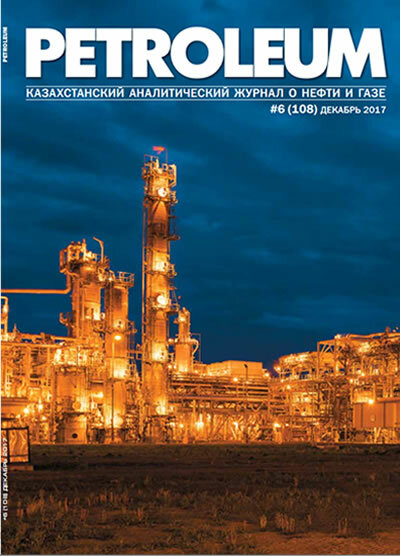 Merkulov A.P, Mershiyev M.P., Demakhin S.A.
At all stages of oil related activities, ranging from oil exploration and production to waste treatment, the formation of oil and oil products spills occurs. The extent is very big, for example, according to various sources, annually up to 5 mln tons of oil and oil products spills into the environment, and from 2 to 10 percent of produced oil spills into the soil . Large oil spills occur during a pipeline ruptures, as well as transportation via water, rail and road transport. Every year at the trunk pipelines alone hundreds of oil leaks occur, leading to serious environmental consequences. A major source of ocean pollution with oil and oil products are the accidents that occur during transportation by the oil tankers and oil production at the offshore oil fields. However, oil and oil products pollution may occur not only as a result of large-scale oil spills, but also during the standard operation of the oil wells, gathering stations, compressor and pumping stations, oil depots, initial treatment stations, oil-settling tanks, electrical substations, oil-loading stations and many other objects of oil and oil products production. 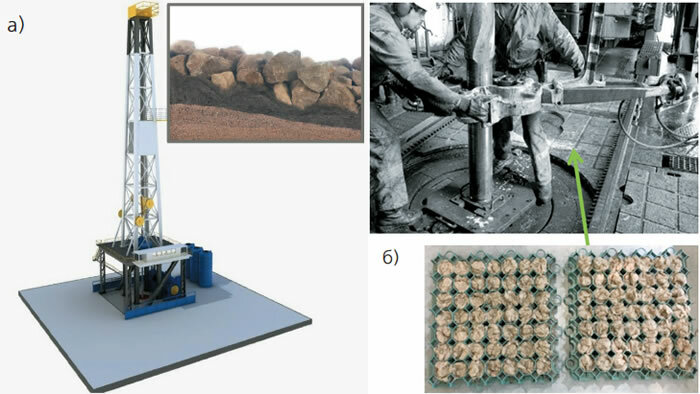 At the stage of drilling and well preparation for operation alone the environment is polluted with components of drilling mud, which could contain up to 5000-8000 mg/l of oil products. Serious pollution also occurs during the well operation, maintenance overhaul works and oil production stimulation. One of the main methods of containment, elimination and prevention of spills is the use of absorbents and absorbing solutions . The most used method is the use of booms, mats and pillows. Zirax is the distributor of Green Ocean products in Russia, which manufactures innovative absorbing materials with a superior characteristics to previously used products. 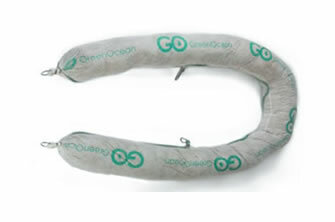 The distinctive feature of Green Ocean solutions is the use of modified basalt fiber as the absorbing material (Fig. 1). Structure of internal voids of the material based on fibers made from basalt rocks with density from 10 to 15 kg/m3 provides absorption capacity that is more than 30% effective compared to the figures of known materials and products (Fig. 2). For example, an absorbent pillow weighing 120 g absorbs around 4 kg of oil. Equally important is the speed of absorption, which is very important for a quick containment of the spill. More than 60% of sorption occurs in the first 15 minutes and 99% within an hour. The strength of the basalt fiber matrix allows to use products made from this material up to 10 times, fully draining and absorbing hydrocarbons again. After repeated application, used sorbents can be disposed as class 4 hazard waste. 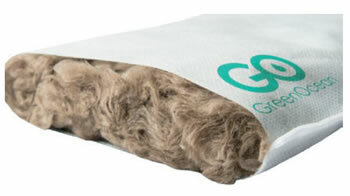 Green Ocean absorbing solutions come in the form of booms, pillows, mats and socks. Booms (fig. 3) with a length of up to 1.2 m can form boom system that contains a place of spill. They possess hydrophobic capability that provides good buoyancy, at the same hydrocarbons are quickly absorbed by absorbing material. 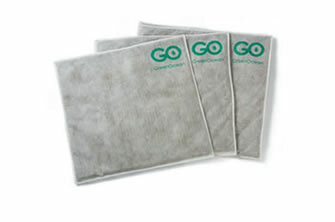 Sorbent pillows are designed to remove the local spills (fig. 4). In addition to the containment of spills, Green Ocean absorbing material can be applied to prevent soil contamination during the drilling and operation of wells. In this case the area around a rig is covered with canvas made from Ocean Green material and filled up with gravel (fig. 5, a), while the space near the equipment is laid out with mesh made from the same absorbing material (fig. 5, b). They are easily stacked manually as a puzzle. In case of a spill, absorbing material is easily removed, drained or replaced and stacked back. In conclusion, it should be noted that Green Ocean absorbing material is absolutely incombustible and works in any weather and temperature conditions. The use of such sorbent solutions can significantly reduce spills of oil and oil products, hence the environmental damage and financial damage for enterprises working with them. 1. Vladimirov, V.A. 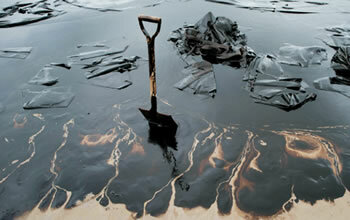 Oil spills: causes, extent, impact // Civil defense strategy: issues and research. - 2014. - No. 1 (vol. 4). - P. 217-229. 2. Kamenschikov F.A., Bogomolniy E.I. 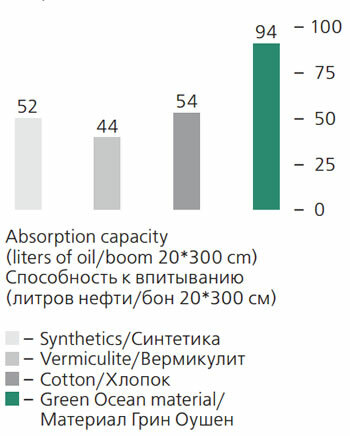 Oil sorbents - Moscow-Izhevsk, 2005. - 268 p.